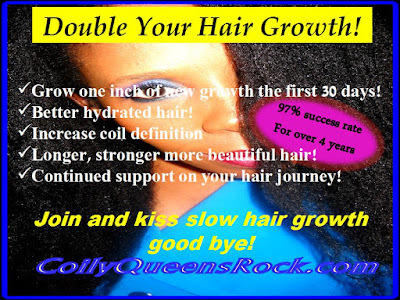 Moisten hair and saturate hair with the oil mixture. 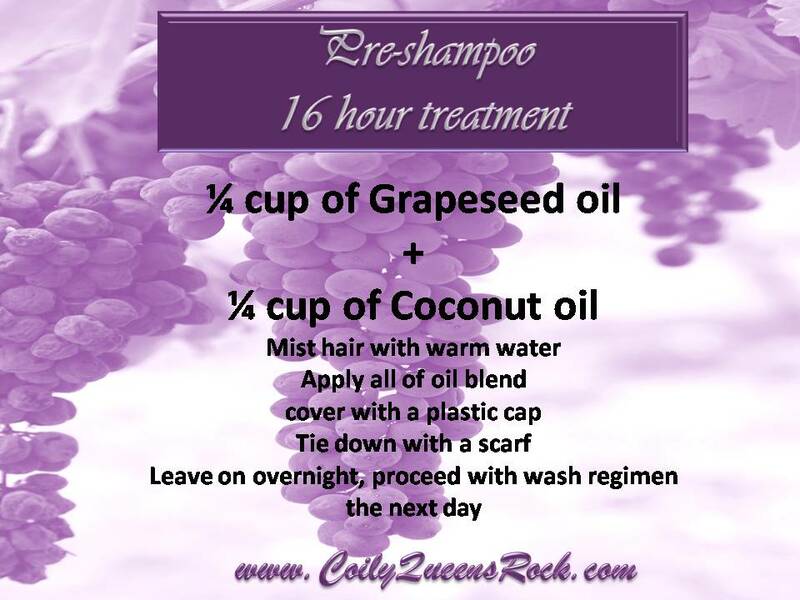 Let it sit on your hair for at least 16 hours prior to shampoo time. For TANGLES, knots and shine! Take 1/4 cup of coconut oil and warm it up by placing it in a bowl of hot water for 5 minutes. Wash and deep condition your hair. 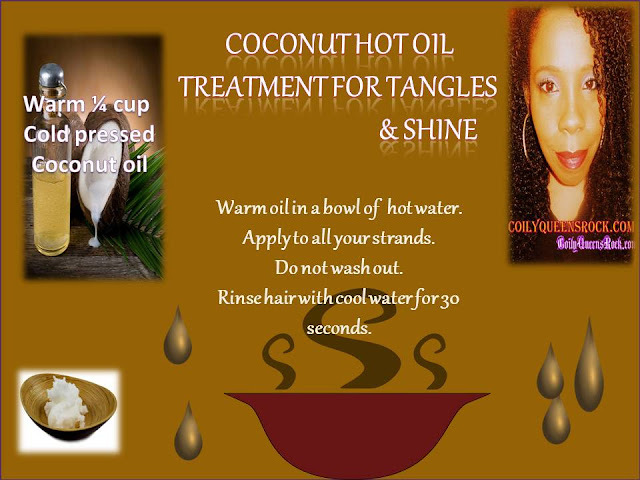 Smooth the hot oil through out your hair strands. Mix 1 tablespoon of unrefined coconut oil with 3 to 5 drops of pure peppermint oil. Apply to scalp with your finger tips. 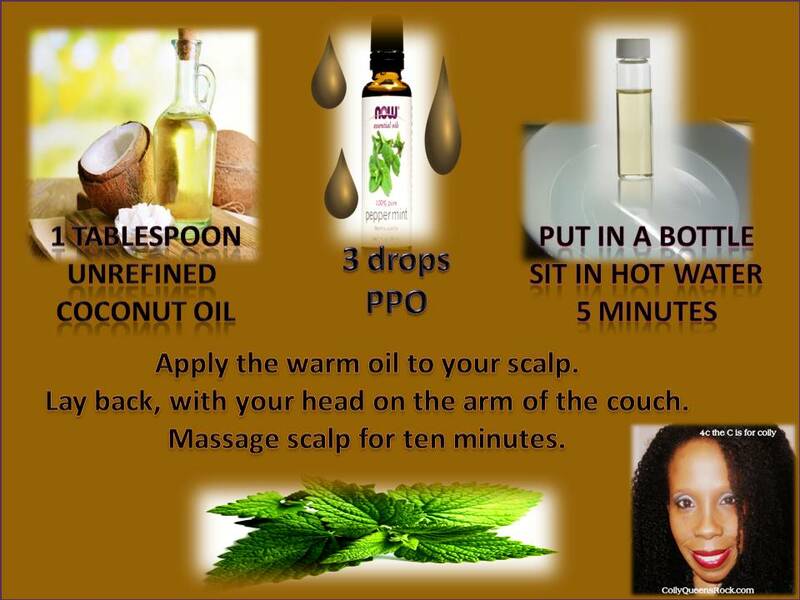 Massage onto scalp for ten minutes.